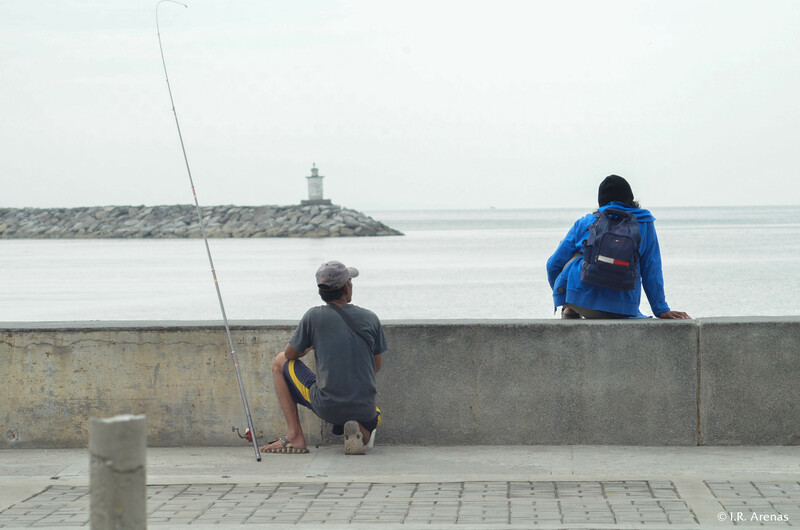 A fishing aficionado frequents the Manila Bay sea wall along Roxas Boulevard. The urban part of the bay is littered with trash, and the water is not of clean quality. It is in this condition that the man waits to bait some fish.